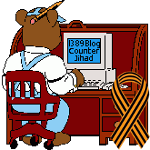 The Bloody Truth About Cyprus — 1389 Blog - Counterjihad! I am searching for the truth about my roots. Maybe it should me translated into Turkish also, for all to read. Seems Turkish speaking Cypriots are only getting one side of the story.